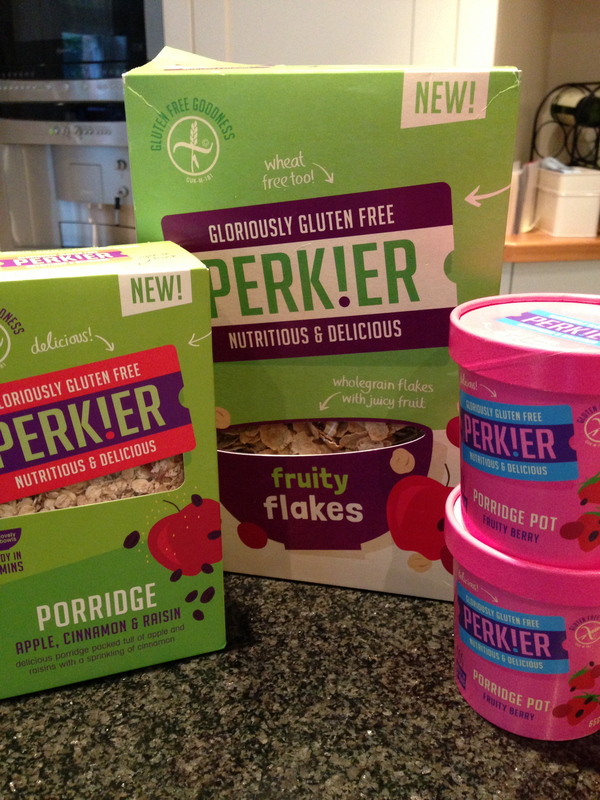 If you haven’t tried the new gluten free cereals and porridge from Perkier, You are really missing out. A welcome addition to the free from section in British supermarkets. Available in the Free From section in Tesco now, and more to follow I’m sure. My favourite is Apple, cinnamon and raisin Porridge. the best thing is that it has no added sugar. I don’t think you need to add sugar, just a huge dollop of double cream, Perfect! also available in Fruity berry, Gingerbread and raisin, Apple, cinnamon and raisin Oat free porridge using millet and buckwheat. 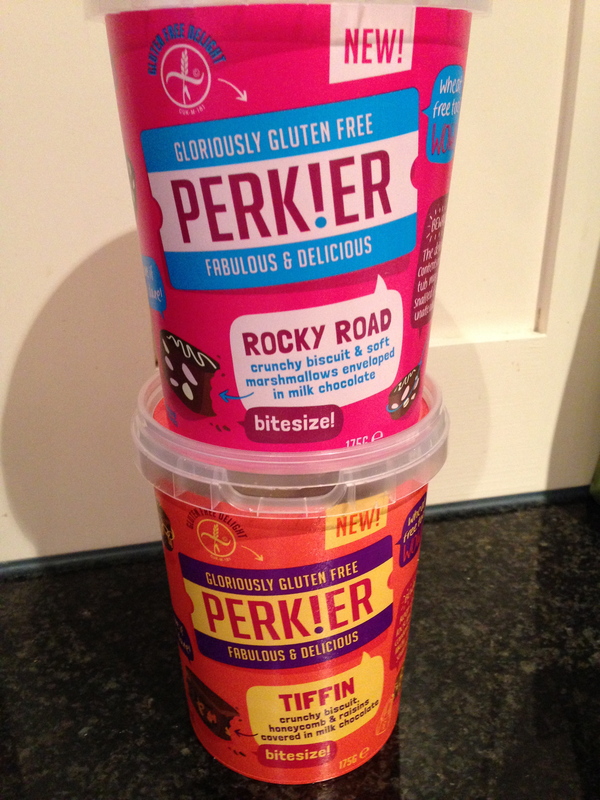 The porridge is also available in handy tubs perfect to take to work or for holidays. available in Fruity berry and Apple, cinnamon and raisin. just add boiling water. 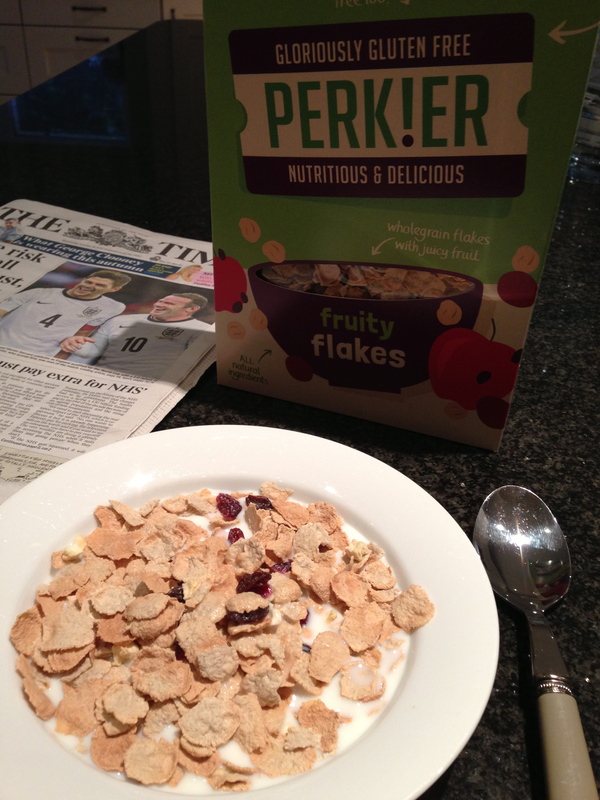 Perkier also make a gluten free Fruity flakes cereal which does not contain oats. This product does contain sugar. Not such a fan of these but rarely have cereal. I found the dried fruit quite hard. Perkier also make delicious Treats a gluten free Tiffin with bits of honeycomb voted the best in our house. Also Rocky road with marshmallow very nice too. 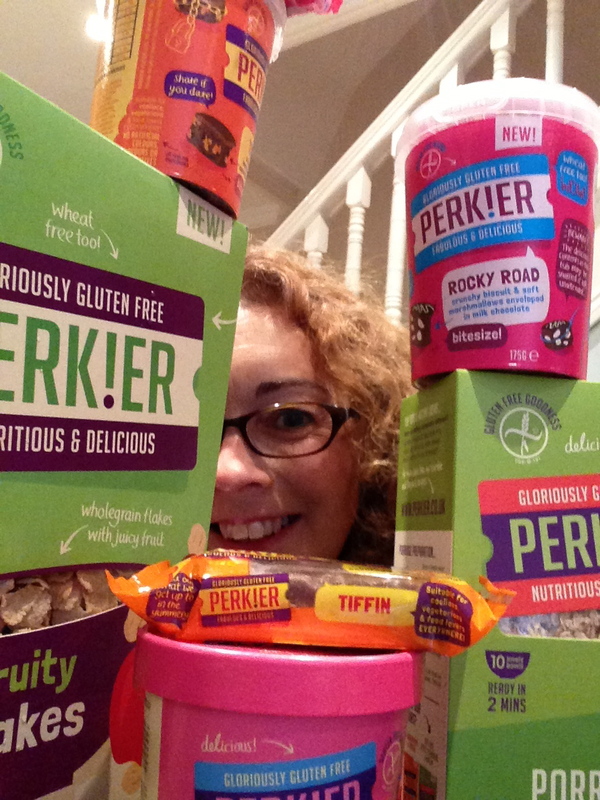 The fun packaging makes them very easy to find on the shelf, why not go and check them out!